Concerned About Cabin Air Quality? 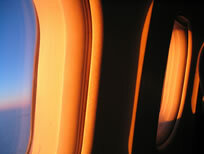 Something you may be concerned about and that may cause your fear of flying may be the quality of the air in the cabin. You may have heard or watched movies where people fainted or lost consciousness due to lack of adequate air pressure in the cabin. Or someone may have told you that a serious disease was spread on an aircraft. Well you don't need to fear. Cabin air quality is ensured to be high quality before take off and the pilots are trained to maintain the quality of the air in the cabin. The flight attendants are also trained to assist passengers with any problem they may have - including concerns about cabin air quality. The quality of the air is measured and determined before any aircraft goes into service. This measurement or assessment makes sure that the quality in any cabin is free from hazardous vapors and gases. This is especially important for people with allergies or people who are highly sensitive to certain airborne substances. Now, all aircraft cabins are pressurized. That means that a certain volume of air is maintained in the aircraft. You may not realize this but the human body can only function around a certain amount of air pressure. Too much or too little could kill you. Now because aircraft go up to high altitudes and therefore the amount of air pressure outside is lowered, the aircraft has to maintain a certain amount of air pressure to make your body feel like it is still on the ground. Sometimes the amount of air pressure has to be lowered but safety regulations ensure that the pressure can only go so low. This should make you feel safer. 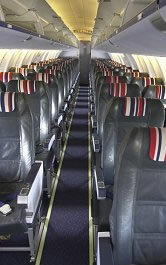 Most pressurized cabins are designed to provide a pressure of 8,000 feet at the aircraft's maximum operating altitude. This is similar to standing on a mountain 8,000 feet high above sea level. That would mean that the amount of oxygen in the cabin is reduced. This would in turn result to lower levels of oxygen in your blood. This should cause you no problems if your respiratory system functions fine. Modern aircraft are also equipped with high efficiency air filters. These filters are designed to filter out most bacteria and viruses from recirculated air in the aircraft. Modern aircraft contain about 50% outside air and 50% recirculated air. The risk of an infection being spread by recirculated air is very much less likely to occur. This should cause you no fear. In today's advanced world most aircraft go through strict testing before they are approved to go into service. Aircraft manufacturers have to abide by certain safety standards or they cannot manufacture and sell their aircraft. Airline pilots have to go through exams to ensure that they understand and are able to maintain the safety of the passengers on board. It is more safer to fly today than in any other time in history.